The planned Gambit movie with Channing Tatum attached to star in the title role finds itself facing a bit of a speedbump. Director Rupert Wyatt (Rise of the Planet of the Apes, The Gambler), who signed on to direct the movie back in June, has been forced to depart the movie. Why exactly Wyatt was forced to walk away from the movie appears to be due to a scheduling conflict. 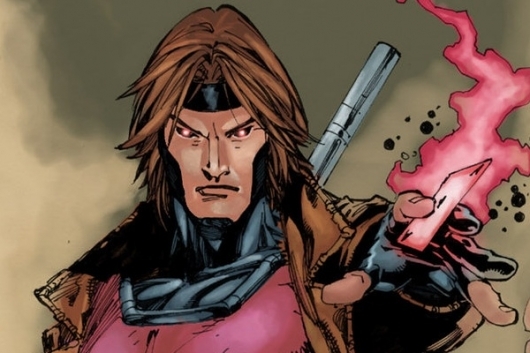 Gambit was forced to push back its production schedule, which created a problem for another one of Wyatt’s projects. This was possibly due to changes to the script that increased the overall budget of the movie and led to the delay in the production schedule. Another possibility is that the shooting schedule around Mardi Gras could have caused problems. This isn’t the first complication the movie has faced. In late July there were reports that Tatum might actually walk away from the movie before things were eventually worked out and he officially signed on to star. Starring in Gambit alongside Tatum is Mission: Impossible – Ghost Protocol and Blue is the Warmest Color star Lea Seydoux, who was confirmed as the female lead a couple of weeks back. The screenplay for the movie is written by Josh Zetumer, based on a treatment that was penned by Gambit co-creator Chris Claremont. Producing the movie is Reid Carolin, Lauren Shuler Donner, and Simon Kinberg, as well as Tatum. Earlier today, we reported on Kinberg’s comments about the possibility of crossovers between Deadpool, Gambit, and X-Men characters.